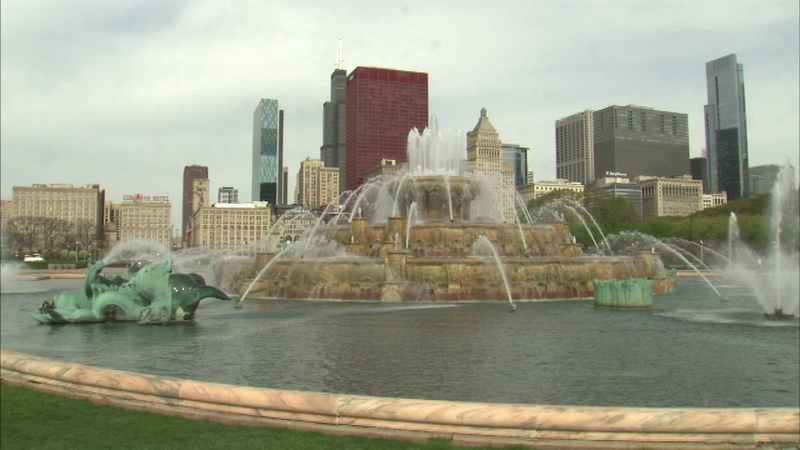 CHICAGO (WLS) -- In a welcome sign that summer can't be too far away, one of Chicago's most famous landmarks came back to life Saturday. A big crowd was on hand as the Chicago Park District switch the Buckingham Fountain in Grant Park back on. This is the fountain's 90th birthday and the celebration featured some of the Chicago area's best loved organizations, including the Shedd Aquarium and Brookfield Zoo. According to ComEd, Buckingham Fountain holds 1.5 million gallons of water, has 133 jets, 820 lights and the water reaches a height of 150 feet in the air.